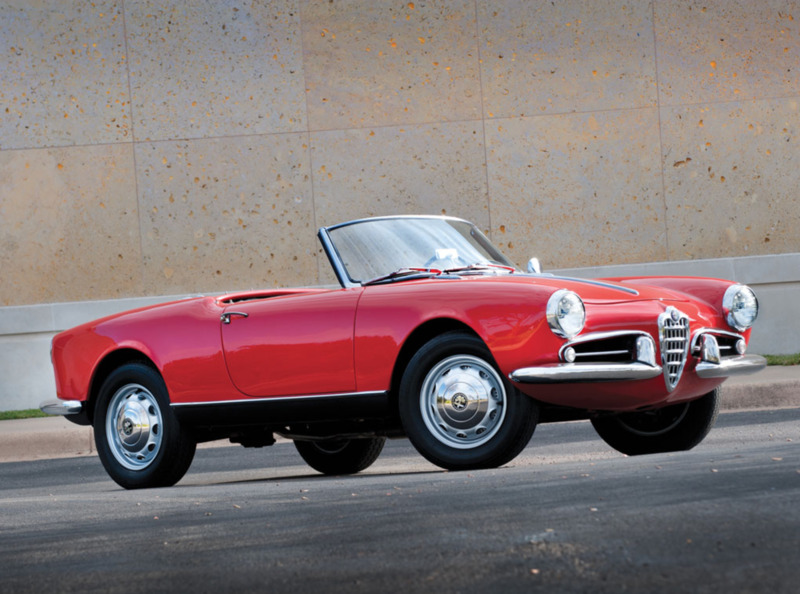 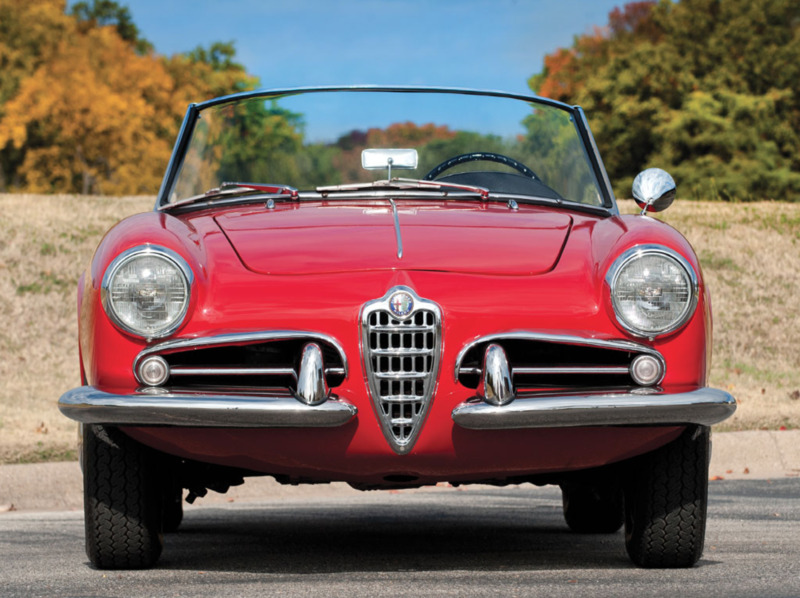 Alfa Romeo had a particularly good year in 1955 when they released the popular Giulietta Spider. 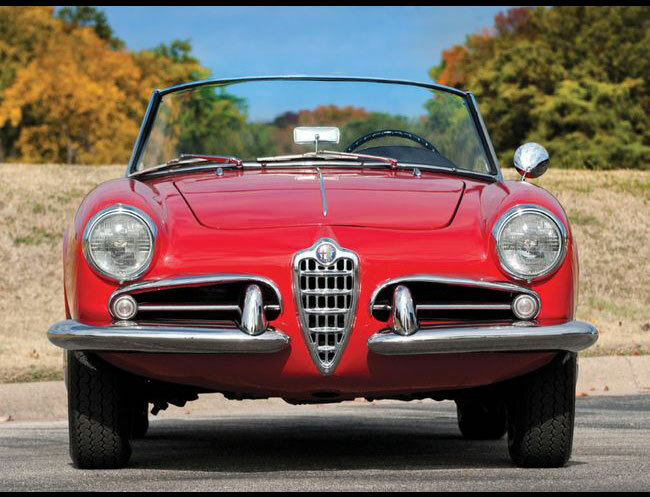 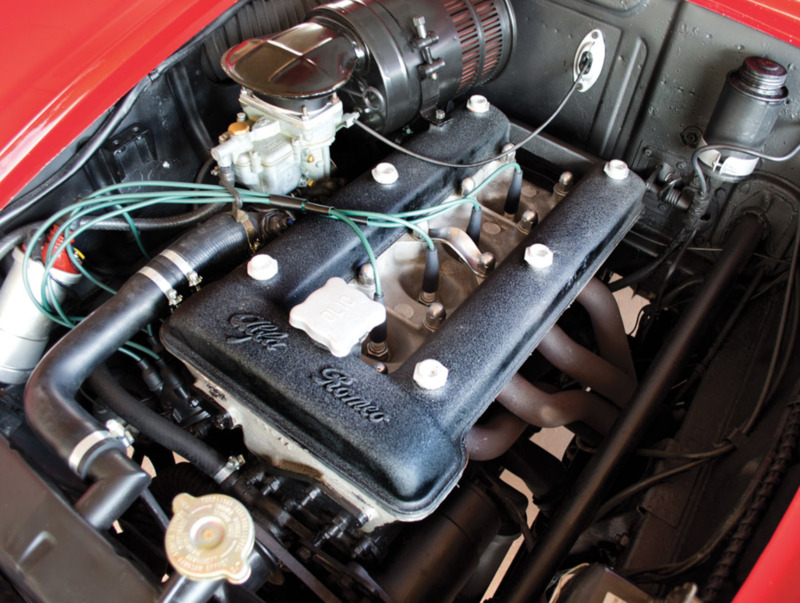 The renowned Italian automaker was known for crafting high-quality vehicles, and the Spider was no exception. 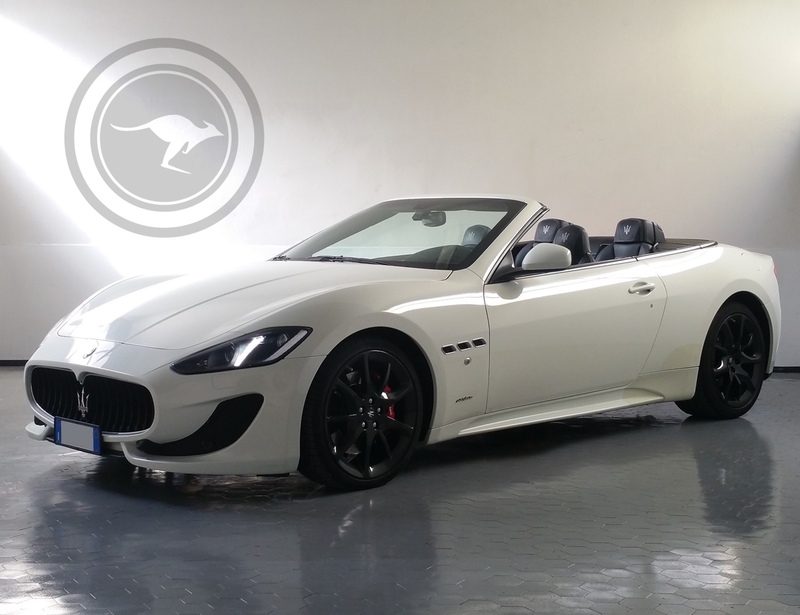 The Italian roadster was designed by coachbuilder Pininfarina. 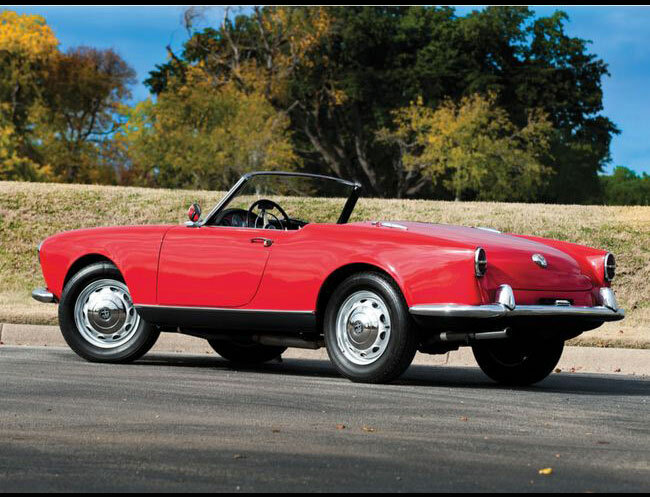 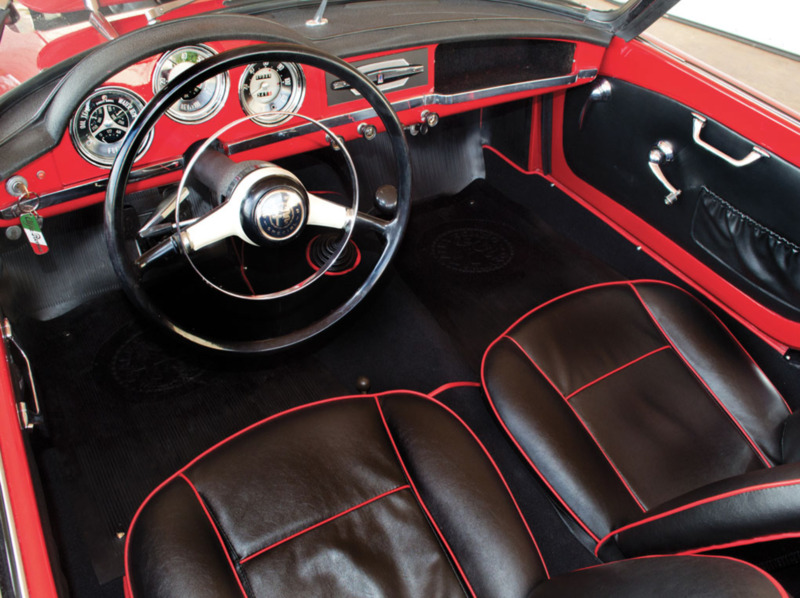 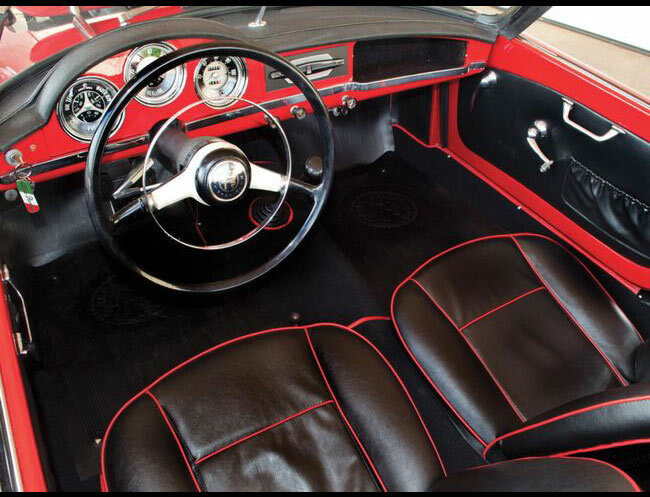 A curious history fact is that the Spider was not made from a direct Alfa Romeo project although, the Giulietta had come to the attention of Max Hoffman, an importer of luxury vehicles to the United States based in New York. 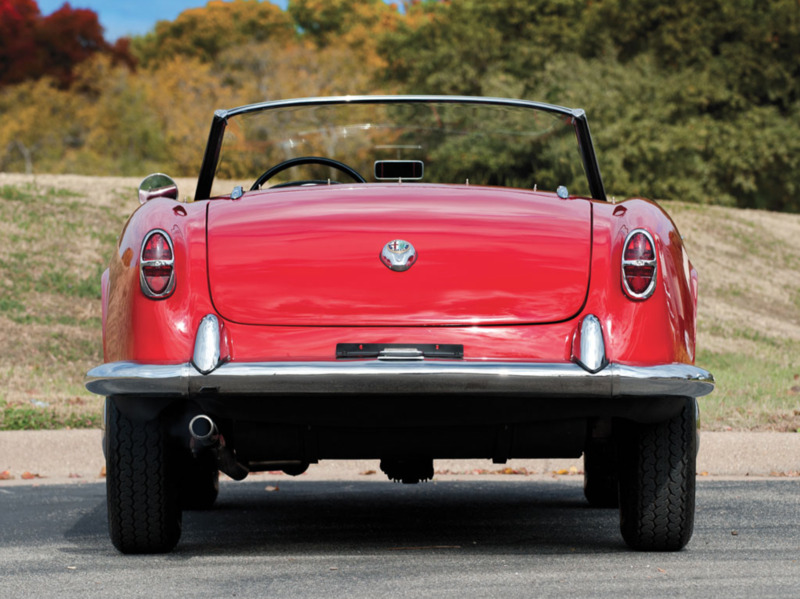 Hoffman recommended that Alfa Romeo release an open-top roadster to take advantage of the manufacturer's reputation and style that he could bring to America. 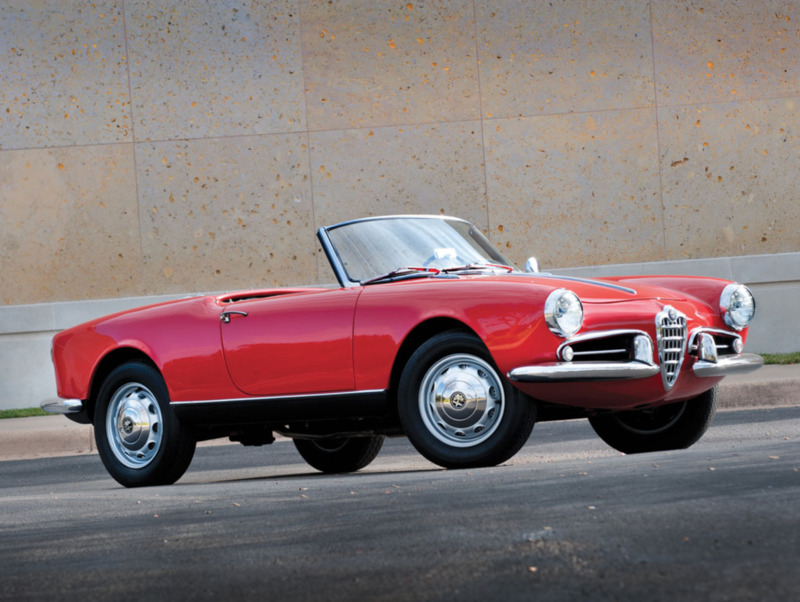 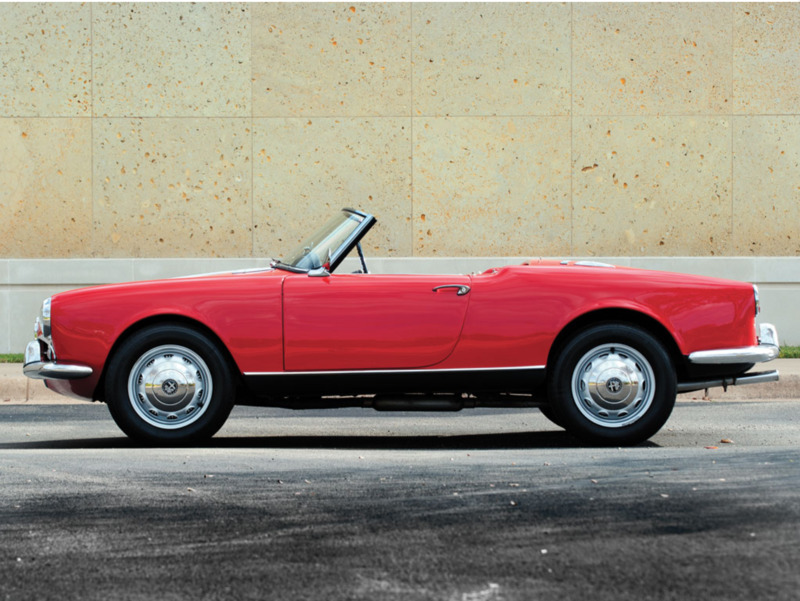 Alfa Romeo contracted the design firm Pininfarina to sculpt the convertible. 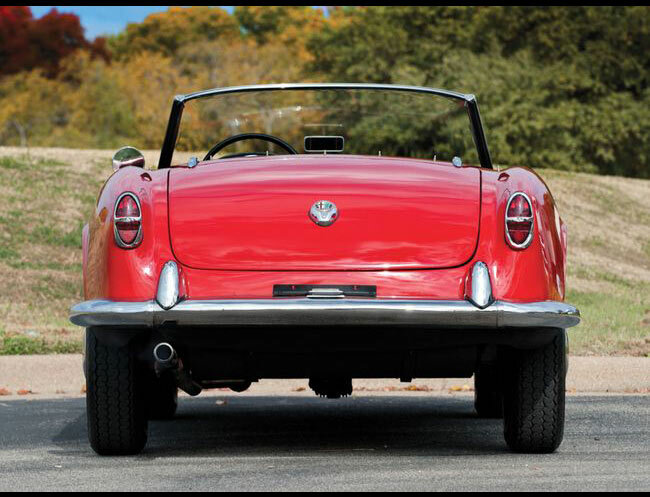 The simple lines are extenuated by the hood which folds under the rear deck to completely disappear from view. 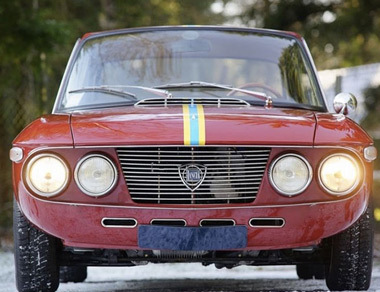 The bright work is simple and understated by standards of the day, the deep Alfa Romeo Grill nestles between the eyebrows of the air intake, the contour of the badge running up to the bonnet are all nice touches. 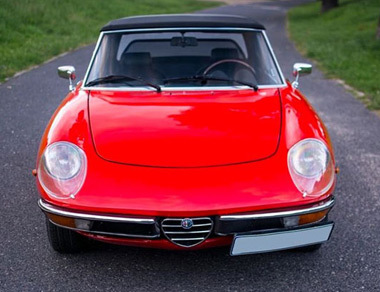 Rent our vintage Alfa Romeo in Italy (Florence, Como, Milan or Venice) or in the South of the France (Monte Carlo, Nice, Monaco).